A glorious jewel gleaming in the heart of the city, the Cathedral-Basilica of Saint Louis is one of the most prominent landmarks in the French Quarter. Illustrious in the extreme, the Cathedral has often single-handedly solidified New Orleans' identity. 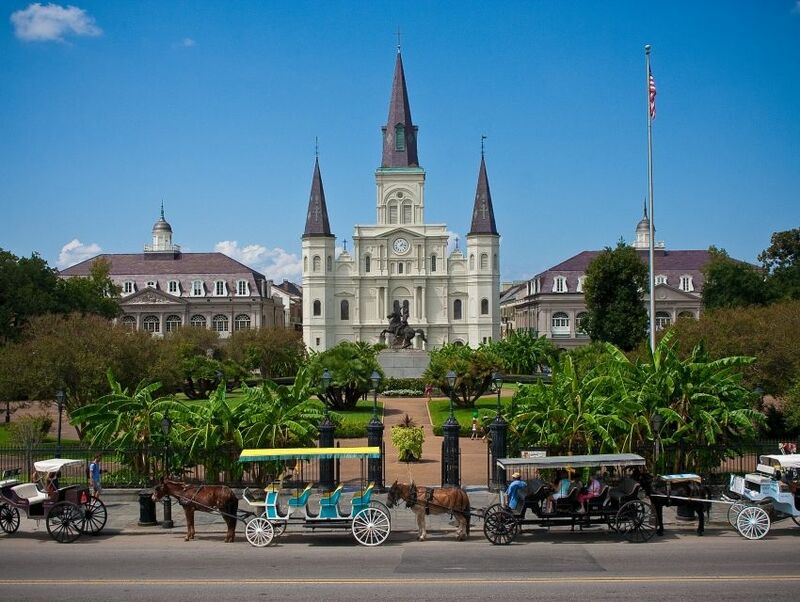 Lording over the historic landscape of Jackson Square, this magnificent cathedral is a soulful amalgamation of culture, history and an inextricable French legacy. The Cathedral of St. Louis was first built in 1718 but became an established parish in 1720. The current cathedral is not the original, but a rebuilt expansion of the third version of the cathedral, built in 1789. In 1964, Pope John Paul II designated the cathedral as a Minor Basilica. The graceful beauty of the St. Louis Cathedral and its surrounding courtyards in the French Quarter makes it a sight to behold. Cradled on the banks of the Mississippi River, the cathedral is considered one of the greatest symbols of Catholicism on the North American continent. Upheld by beautiful blue steeples and interiors which are just as ornate, this cathedral is an edifice hewn with an indelible French heritage.